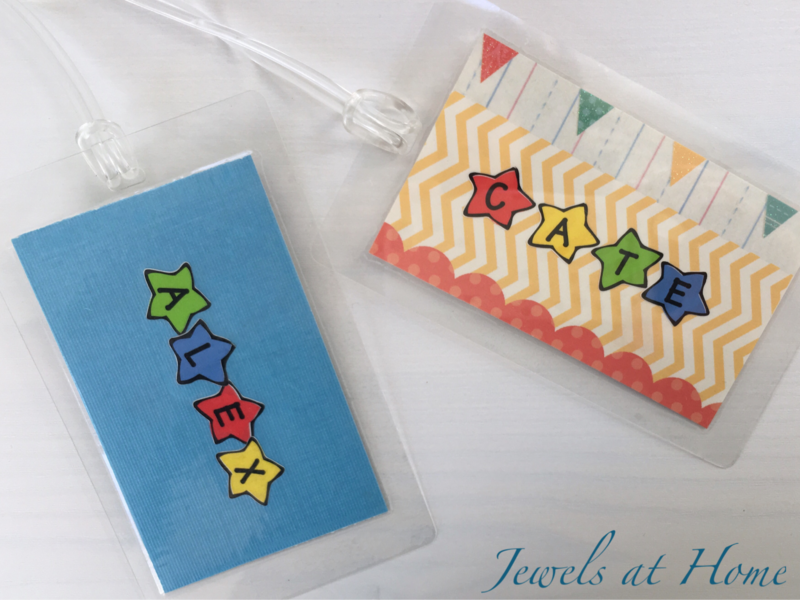 These little luggage tags make wonderful gifts that are quick to make and practical! Every kids loves having something with their name on it, and every adult fears taking the wrong bag at the airport. I’ve actually done this – and it was a huge pain, because I had to spend hours and $$ going back to LAX to exchange the bag, but I was relieved that at least the woman whose bag I accidentally took was really nice about it. 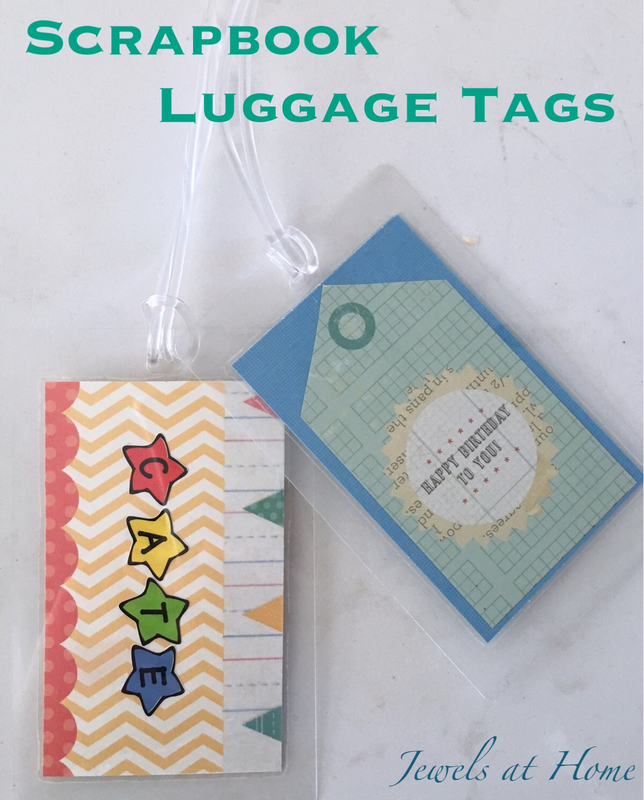 I love all the ways you can customize these luggage tags. 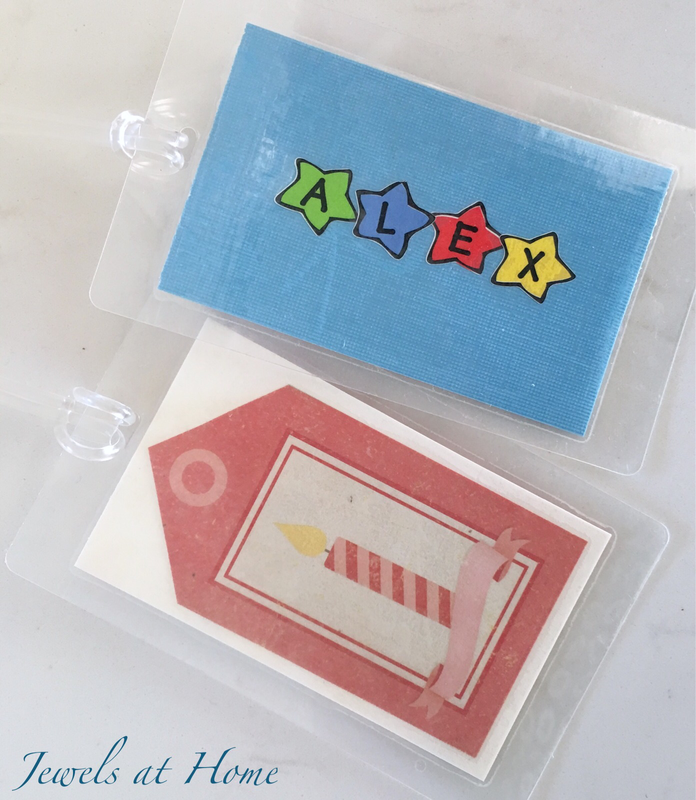 I am showing these with scrapbook paper, but I’ve also made some out of wedding invitations to give as a gift to the couple, and you could use photos or lots of other ideas! 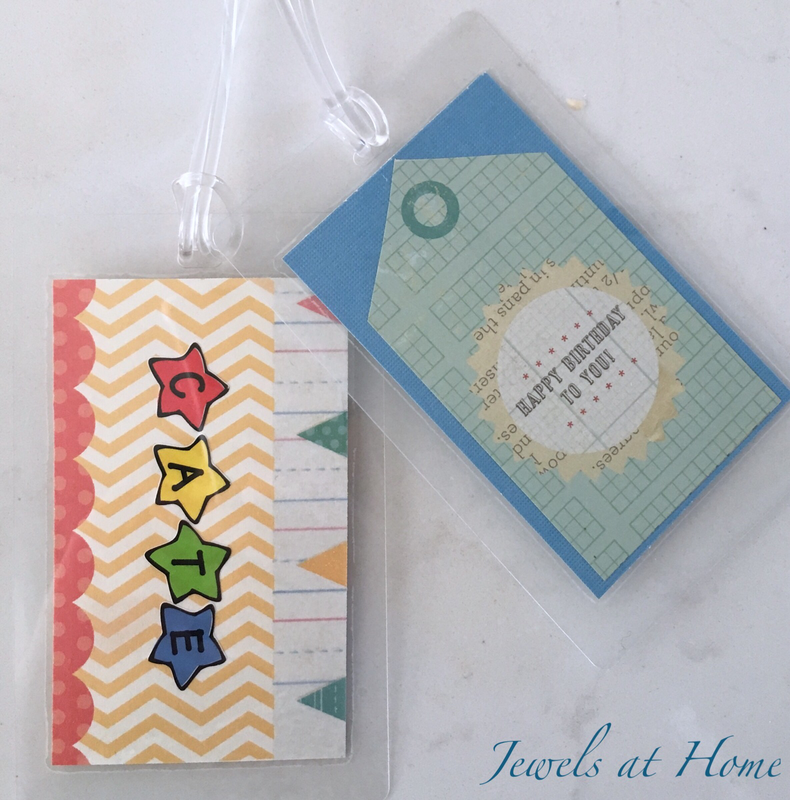 There’s really nothing better than a beautiful combination of scrapbook paper and stickers, is there? … Well, maybe dark chocolate and red wine… or world peace… okay, but these are really fun and pretty, so go and make some, because world peace may take a while to achieve.